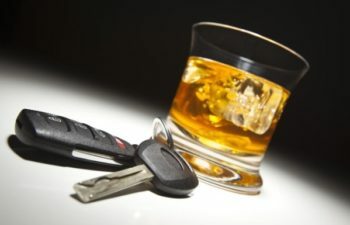 We all know some of the more prominent signs of drunk driving such as swerving, driving down the middle of the road, or even going the wrong direction. But subtler signs such as taking large turns, erratic breaking, and …… can also indicate that a driver is impaired. According to the NHTSA, almost 29 people in the United States die in alcohol-impaired vehicle crashes every day—that’s one person every 50 minutes in 2016 or more than 10,000 lives per year. In 2010, the most recent year for which cost data is available, these deaths and damages contributed to a cost of $44B per year. NEVER DRINK AND DRIVE!!! Please, just don’t ever do it. Be a designated driver. Staying sober and volunteering to drive others home would otherwise drive themselves is a proactive way to keep drunk drivers off the road. Be the responsible person who volunteers to be the designated driver and feel great about the lives you are saving. All of these driving tips are helpful to avoid accidents but are especially prudent to follow late at night or during holidays when drunk driving is more prominent. Beware of Intersections. Accidents frequently occur at intersections, where a drunk driver can run through red lights or stop signs. Keep a Generous Distance. Give yourself time to react quickly if a car in front of you makes any sudden or erratic movements. Stay to the Right. Staying in the right lane gives you the ability to pull over, turn, or exit if necessary. It will also allow you to give extra room to the lanes to your left, including those coming from the opposite direction. Pull Over and Let Them Pass. If you see a driver illustrating signs of not being fully in control of their vehicle, just pull over. Safety is the number one concern while traveling. Pulling over allows you to avoid possible dangerous incidents and an opportunity to notify authorities. Notify the Authorities. If you suspect a possible drunk driver call the police department or 911. Whether that be after you reach your destination or are pulling over for your own safety, always let the proper authorities know by identifying your location, the direction, and any details about the vehicle that you can remember. Do NOT put yourself at risk by trying to read a license plate number and getting to close. Safety first! As always, buckle up! Always buckle up! If you or a loved one are hurt in an accident Call Me On My Cell! Reach out at www.callmeonmycell.com or call at (813) 254-7119.